Long eyelashes with a natural, upward curvature is a highly desired feature among women. Mascara brands, therefore, offer the promise of beautiful, thick lashes. Also, the popularity of false eyelashes and eyelash extensions offer temporary ways to achieve longer hair lengths. But they are also costly and inconvenient in the long run. With Dr.UGraft hair transplant system, the practitioner can scout all body hair to find hair that most closely mimic the natural eyelashes with regards to length and natural curliness. 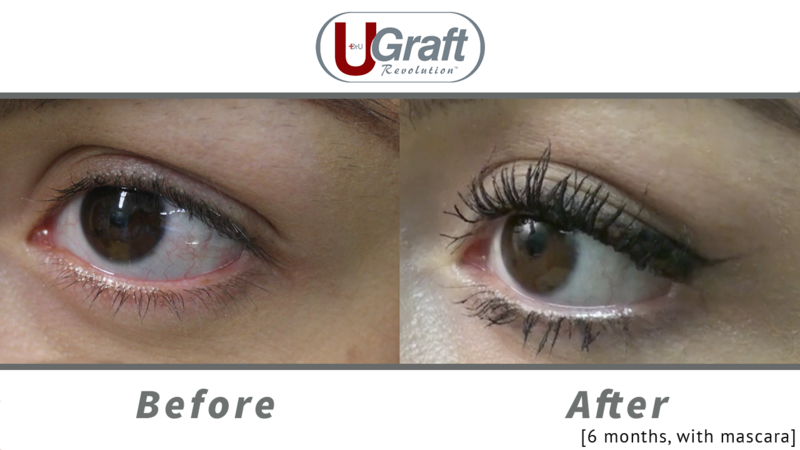 The patient below received a Dr.UGraft™ eyelash transplant using leg hair in order to obtain the long lashes she wanted, without the tedious make-up. Most women would prefer having their own set of long, naturally growing lashes as if they were naturally born with them. 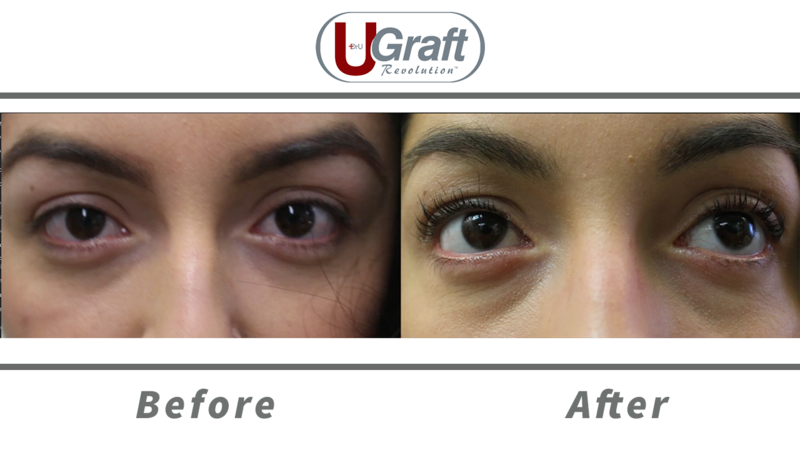 This patient grew tired of daily make-up application in order to achieve this look and opted for a permanent eyelash transplant with the advanced Dr.UGraft™ hair transplant system. The strong demand for long lashes can be met with eyelash transplant surgery. However, conventional techniques are more capable of using head hair by. Hair from the scalp is far too thick to be a natural match for realistic eyelashes. Nape hair is thinner but will continue to grow. Although the use of leg hair is unconventional, it’s length and thickness (in select candidates) is undoubtedly a much better selection for the eyelashes. The Dr.UPunch i™ is designed to safely remove hair follicles from the body, including leg surfaces. Furthermore, the healing results of this technology greatly exceed the standards of other FUE tools. 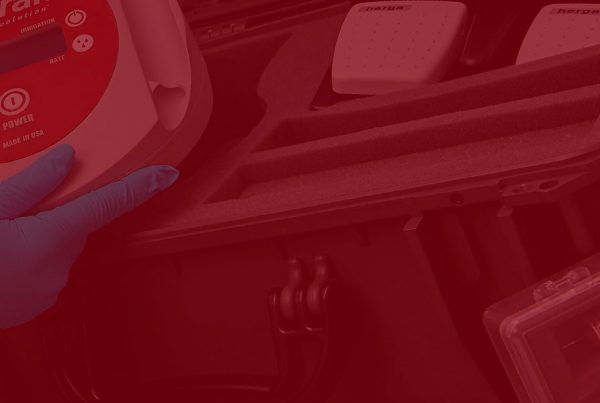 This is due to the device’s ability to create unique wound cavity shapes that pull in the extraneous tissue so that the skin is able to appear untouched after the donor site heals. Watch the animation below for an illustration of different healing profiles. The fact that body hair tends to grow at an angle underneath the skin is also a challenge for basic extraction tools to navigate. 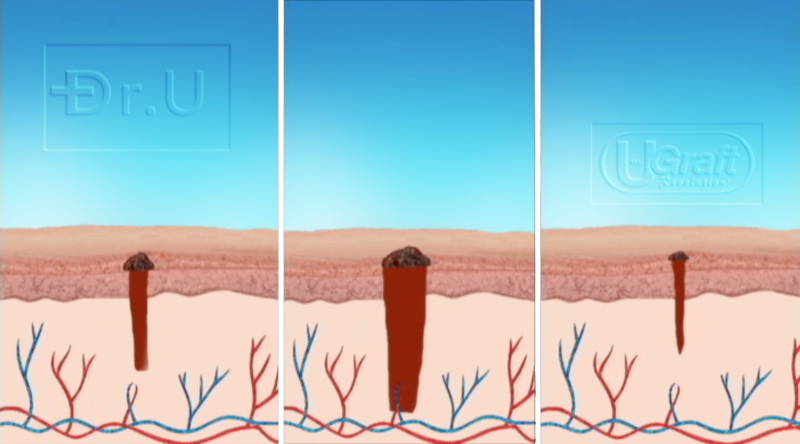 The gallery below demonstrates how Dr.UGraft™ compares to other punches in tracking the direction of body hair growth under the skin. 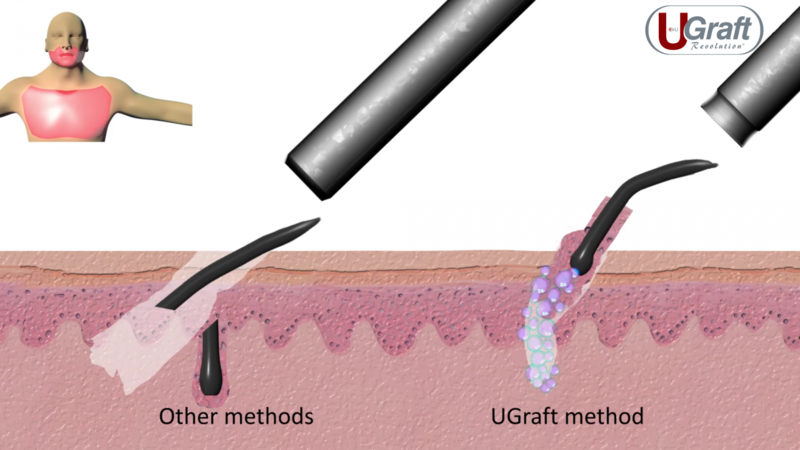 While conventional punches often wind up transecting angled body hair follicles, the unique, patented flared tip of the Intelligent Punch™ (Dr.UPunch i™) enables a hybrid cutting axis that is directed away from the follicle. 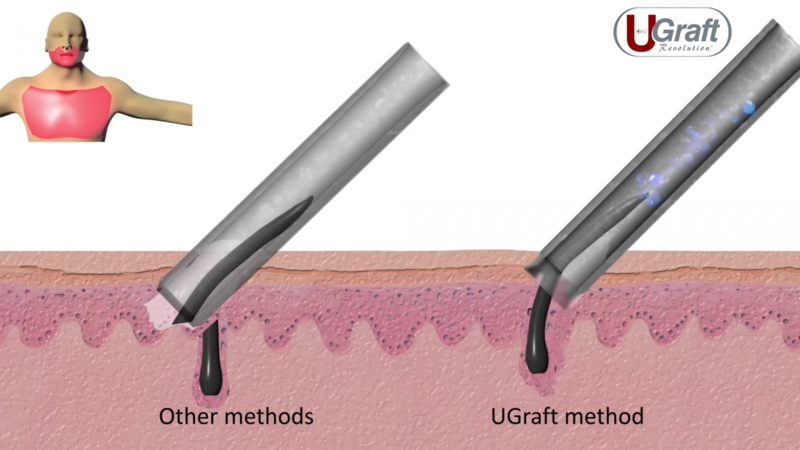 The flared tip of the Dr.UPunch i™, combined with fluid irrigation from the Dr.UGraft™ System, enables safe extraction of angled body hair growth. As illustrated above, the Intelligent Punch™ (Dr.UPunch i™) displays success in overcoming angled growth for body hair extraction. One of the advantages discovered when using leg hair for eyelash transplantation was the ability to maintain its natural curvature, which minimized the need to use curlers and other perming methods. Eyelash transplants using head hair require the use of curlers to replicate the curvature of eyelash hair, in addition to constant trimming. 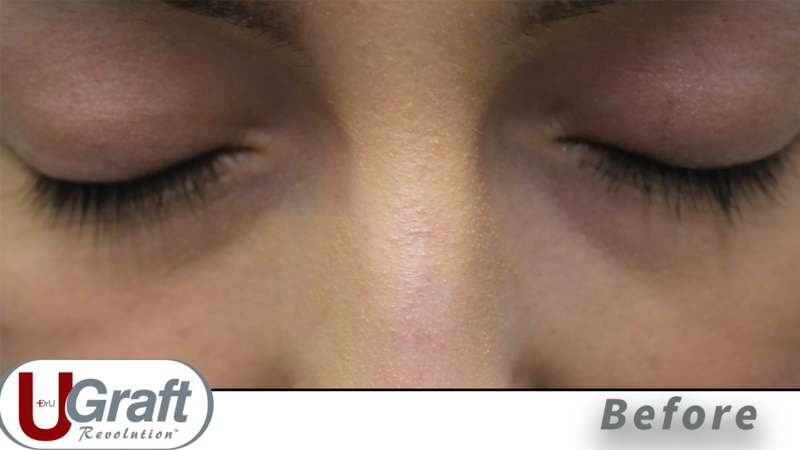 Watch the video below to see more before and after eyelash transplant photos, and to hear the patient describe her experience in her own words. 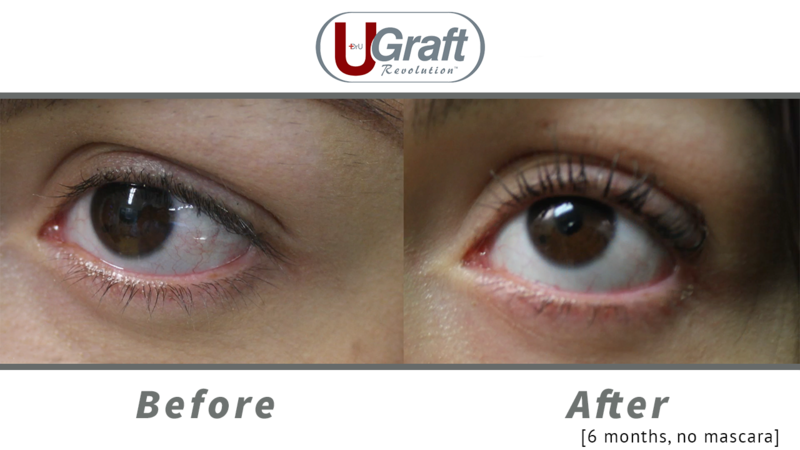 Learn how to become a Dr.UGraft provider by clicking the link below. When can I wear shorts after an eyelash transplant using leg hair? Patients are free to wear shorts, skirts and swimwear exactly as they did before their surgery without revealing any signs of punch extractions such as bumps or redness. What are the benefits of using leg hair for an eyelash transplant over more traditional donor areas? Besides its thin quality, the relatively short maximum length of leg hair is another factor that makes it an ideal choice for eyelash transplant surgery. Patients will not have to trim their lashes as regularly as nape hair. Also, the softness of leg hair makes the resulting lashes much easier to curl, compared to head hair. Read Dr. Umar’s study on eyelash transplantation using body hair in Reconstructive Surgery-Global Open. 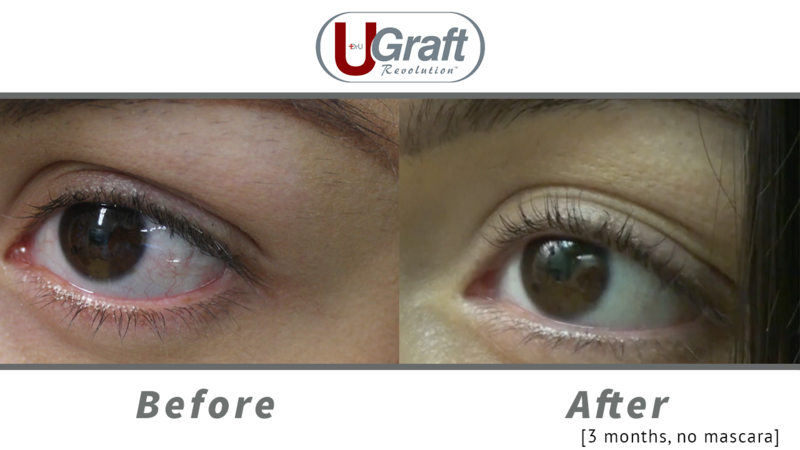 Learn how the Dr.UGraft™ system enables faster procedures without sacrificing graft quality. Previous PostWhat is the Dr.UGraft™ FUE Hair Transplant System?